Parents and players, please take time read through the full handout below before sign on and before the season commences. Further on details are provided of both club and Brisbane Basketball costs and registration procedure. 1. 1. Find the sign-on table for your age group. 2. 2. Speak to the coordinator at your age group help desk to assist them to update or complete details including email address (one that you check regularly) for our player lists. to complete your club membership (U10-U18, $150)/(18-22yoa, $170) and purchase your compulsory game attire items of Shorts and ($30) and Warm-Up T ($15). EFTPOS, Cash or Cheque accepted. The Club will make every effort to accommodate all who are wishing to play with the Lang Park Basketball Club. The Club strives to provide a quality basketball program and is only limited by current resources of available court time and available coaches. In the event that we are at full capacity, parents and players will be consulted, and where there is no solution possible, all fees will be fully refunded. The Lang Park Basketball Club expects all players and parents to read and abide by the Junior Sports Code of Behaviour produced by the Australian Sports Commission (copies available at the PCYC front counter). 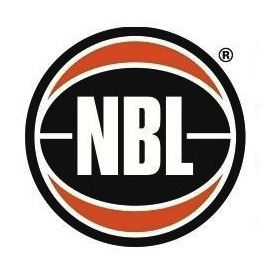 Lang Park Basketball Club enters Teams into the Brisbane Basketball Competition with games played mainly at their Stadium in Dixon Street, Auchenflower. All Club Teams practise at our facility at the Lang Park PCYC. Week 1 – attend trials for player grading in respective age groups. Receive instructions for Week 2 as subject to adjusts while teams undergo grading. Week 2 – player allocations to teams and coaches commences. Team nominations draft compiled for Club coordinator to meet BBI nomination deadline for Grading Season. Week 3 – player’s allocations continue, teams prepared for first game of BBI grading season, BBI Registration MUST be paid. Remaining weeks of grading season – teams play and practice. Player and team key developments are monitored to assist in the assessment and determination of player and team placements for BBI Championship Season nominations. 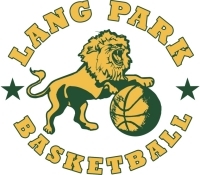 Lang Park players are required to join and pay fees to Lang Park PCYC Basketball Club. A one off payment is due NOW of $150.00 (subsequent family members $140.00), to cover the 2015 costs. This payment is strictly required before players can take the court for their first game of the year. (NB: Paying this fee means players will no longer be required to pay at the front counter for practice however for PCYC safety reasons should still check in on arrival). · Access to other PCYC facilities and activities at applicable attendance rates. 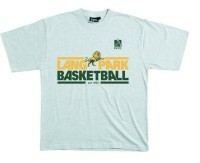 · Provision of Playing Singlet which remains the property of Lang Park Basketball. · Lang Park payment of BBI seasonal Team Nomination Fees. This is the BBI nomination fee payable per team per season as per the Brisbane Basketball season calendar. · Support and training for Coaches and Managers of our Lang Park Teams. · Provision of top quality Basketballs, Equipment and practice facilities. · Trophy presentation day at the end of Championship season. Compulsory Shorts & Warm-Up T’s and non-compulsory merchandise – see MERCHANDISE next page. NEW PLAYER DEVELOPMENT PROGRAM (NON-COMP/MODIFIED COMP). A program is offered at Lang Park to Children less than 10yrs of age to learn the fundamentals of the game of Basketball. This program is conducted by professional coaches where there is a high emphasis on fun while learning entry level basketball skills in each session. Sessions are held weekly in school term blocks. Please enquire directly to Diane Wood, club Coordinator, at the PCYC - 33692647 for details of times for the coming Term. The cost is $20 per year and includes PCYC Membership. A $4 practice fee is to be paid at the front counter before each session. After some time in the program and in consultation with the Coach and Parents, the child can either join an U8/10 Team and start playing in the Brisbane Basketball Competition or participate further in the program. Lang Park teams compete in the BBI competition throughout the year generally coinciding with the 4 school terms. BBI charges fees separate and in addition to the fees collected by Lang Park. BBI fees are summarised below. · This compulsory registration payment can be done by hitting the red REGISTER NOW button on the top right of our website sreen, or similarly on www.brisbane.basketball.net.au. Payments may also be made in person at Dixon St Stadium, Auchenflower or by cheque to BBI, POBox353, Toowong Q4066. · THIS REGISTRATION FEE MUST BE PAID before your first game to prevent team forfeits, including a loss of ladder points! (NB: Lang Park does not at any time take payments for BBI Registration fees). Weekly Game Fees: Juniors $75, per team per game. U23’s TBA per team per game. · Lang Park Teams are required to meet their own weekly game fee expense themselves. · Teams are required to each have a team manager. · Players/parents are to pay their weekly share of the team game fee to team managers in advance, in order for game fees to be paid to BBI competitions supervisors prior to game start time each week. · This is a BBI requirement before games will be allowed to proceed. · Please note - once you are placed in a Lang Park team after grading season you are named formally in the Team Nomination and along with ALL team members are responsible for weekly fees and regular attendance at games and practice. · Absences should be advised as much in advance as possible to team manager or coach. · Every effort should be made to avoid game Forfeits. NB! : Forfeits are costly - twice your weekly game fee is due to BBI if you do not field your team each week. The Club committee advises that this expense must be borne by the team. Lang Park Basketball Club committee meets this expense each season that your team is nominated to play. RE: Representative Selection for participation in Brisbane Basketball Capitals regional and state competitions. In the later part of the BBI Junior Championship season, the association will post on its website the times allocated for selection trials for Capitals boys and girls teams. Players should have completed the registration for trials via the BBI website, have fulfilled the eligibility criteria (being to have played 50% of the BBI Championship Season games within their correct age group) and attended their respective trial sessions to be offered a possible place in a Capitals team. The BBI website provides further details. 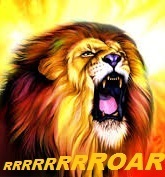 President Sue and the committee are looking forward to enjoying the great atmosphere around the club and the enthusiasm of our club members and families throughout 2015 in the pursuit of better Lions basketball.